@NoahUkeGuy – Riffs are always played from left to right (over all the strings), i.e. the vertical lines represent time, so imagine there’s on line going over all for strings represented in the riff and it moves as you progress through the riff – whenever that line encounters a number, you strike that fret of the string it’s on. Whether it’s ascending or descending depends entirely on what number the line hits next. Try Playing E7 instead of E. it’s easier. WTH!!! How the heck are you supposed to play the riffs!?!? Do i play them from top to bottom or something!?!? a-ha is a Norwegian new wave band. 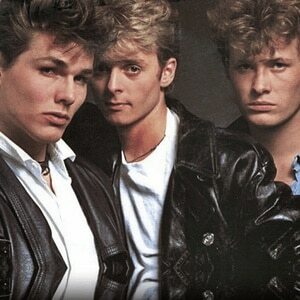 The trio, composed of lead vocalist Morten Harket, guitarist Paul Waaktaar-Savoy and keyboardist Magne Furuholmen, formed in 1982 and left Oslo, Norway for London in order to make a career in the music business. The origin of the name a-ha comes from the lyric of an early song. After checking dictionaries in several languages, they found out that 'a-ha' was an international way of expressing recognition, with positive connotations. It was short, a-ha was easy to say and somewhat unusual.